-- High strength felt material felt, prevent metal-to-metal contact, perfectly protect your precious drum cymbals. -- The casing ensures the height of the cymbal positioning in order to complete the setting of the drum and provide good performance. -- Standard size felt pad, sleeve, suitable for most drums. 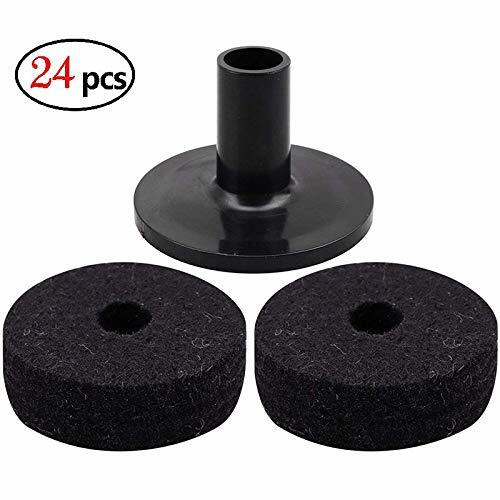 -- Including 1pc Drum Cymbal Sleeve + 2pcs Drum Cymbal Felt. If you have any questions about this product by elegantstunning, contact us by completing and submitting the form below. If you are looking for a specif part number, please include it with your message.